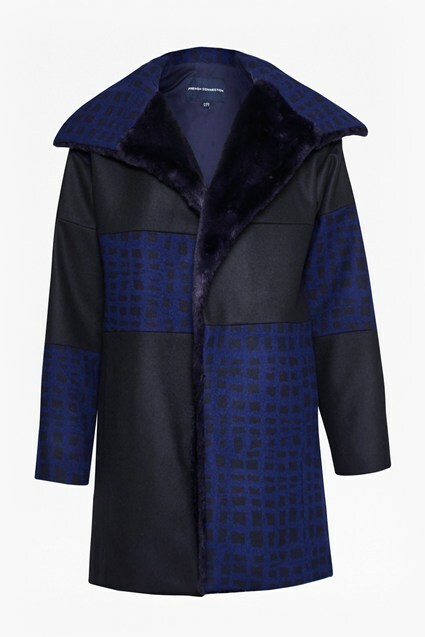 If you're looking for a coat that's equal parts standout and cosy, call off the search. 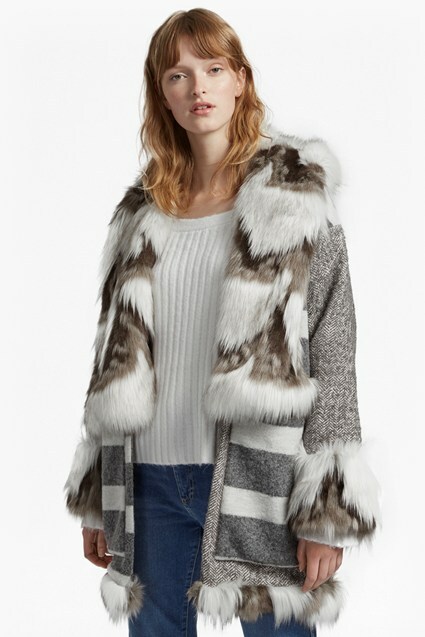 The Melinda is crafted from stark white long-haired faux-fur, contrasted with a short pink faux-fur around the middle and along the sleeves. Wear it to add drama to every look this season.